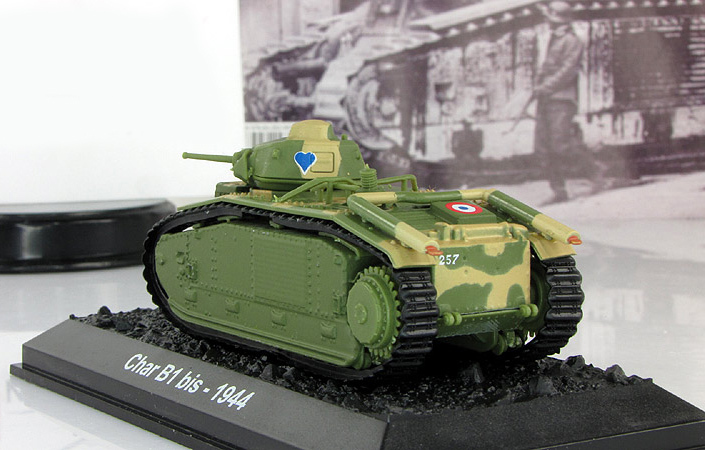 The Char B1 was a French heavy tank manufactured before World War II. 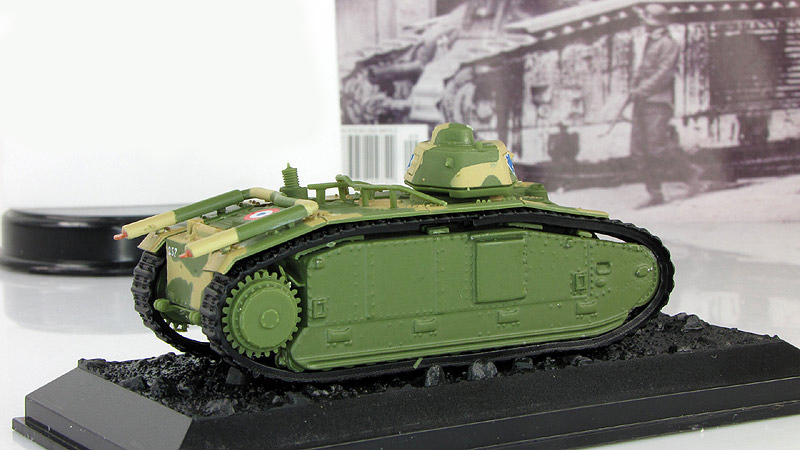 The Char B1 was a specialised heavy break-through vehicle, originally conceived as a self-propelled gun with a 75 mm howitzer in the hull; later a 47 mm gun in a turret was added, to allow it to function also as a Char de Bataille, a "battle tank" fighting enemy armour, equipping the armoured divisions of the Infantry Arm. 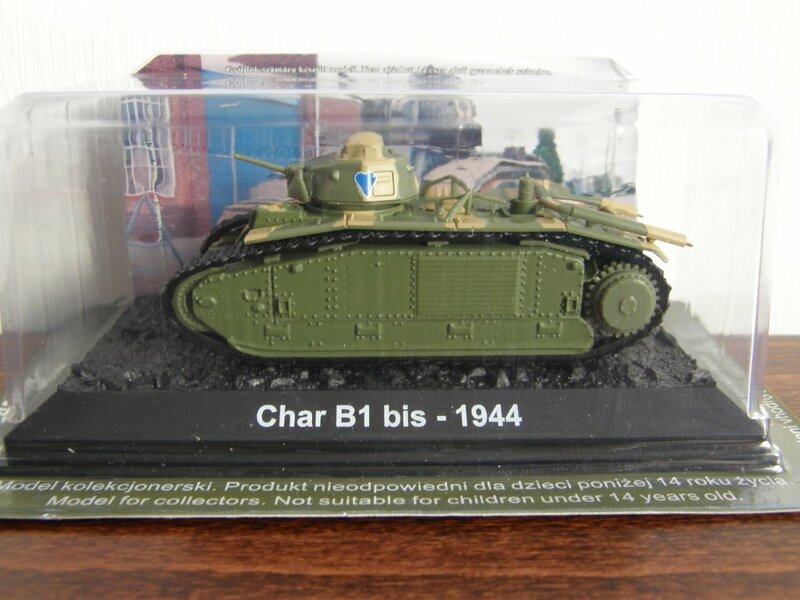 Starting in the early twenties, its development and production were repeatedly delayed, resulting in a vehicle that was both technologically complex and expensive, and already obsolescent when real mass-production of a derived version, the Char B1 "bis", started in the late thirties. 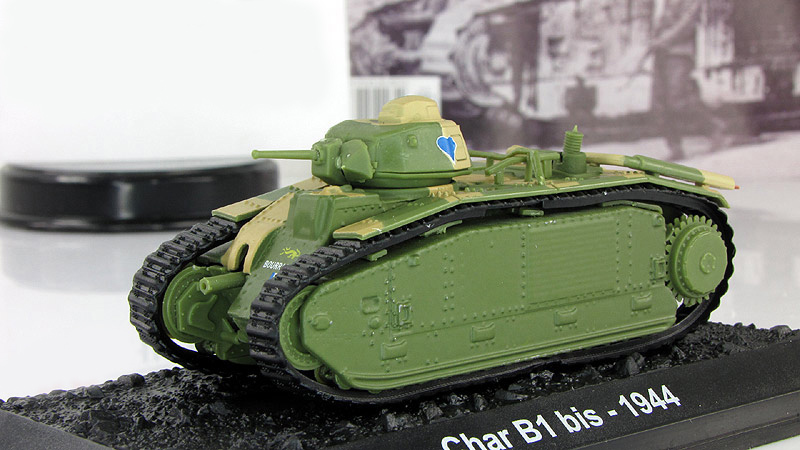 Although a second uparmoured version, the Char B1 "ter", was developed, only two prototypes were built. 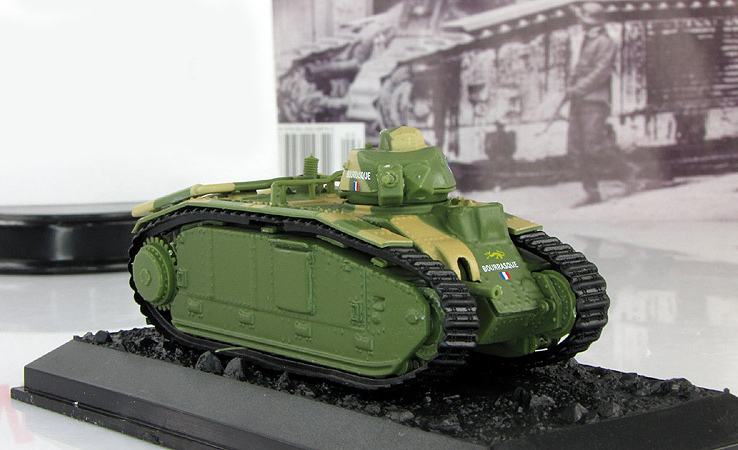 Among the most powerfully armed and armoured tanks of its day, the type was very effective in direct confrontations with German armour in 1940 during the Battle of France, but slow speed and high fuel consumption made it ill-adapted to the war of movement then being fought. 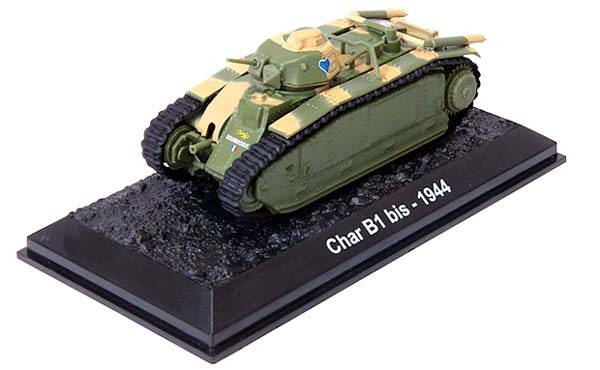 After the defeat of France captured Char B1 (bis) would be used by Germany, with some rebuilt as flamethrowers or mechanised artillery.